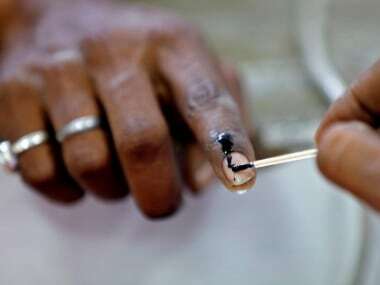 Bhubaneswar: One of the four states where election for the state Assembly and Lok Sabha are being held simultaneously, Odisha saw incident-free voting in phase-I of polling on Thursday. Though voting began a little while later than the scheduled time in some booths because of technical snags in Electronic Voting Machines (EVMs), four Lok Sabha seats and 28 Assembly seats went to polls on Thursday. In total, the state has 21 parliamentary seats and 147 Assembly seats. 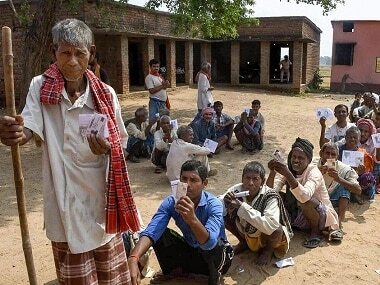 The electorate decided the fate of contestants in parliamentary constituencies of Koraput, Nabarangpur, Kalahandi and Berhampore along with the seven Assembly seats falling under each of them. 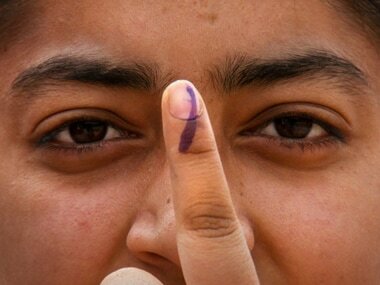 The state's chief electoral officer (CEO) Surendra Kumar said that the voting percentage for the Lok Sabha election stood and the Assembly polls stood at 66 percent till 5 pm. According to Kumar, no untoward incident took place anywhere and polling started at the scheduled time of 7 am in most of the booths. He said that a few polling booths could begin voting only after a 30-40 minute delay owing to issues with EVMs and/or Voter Verifiable Paper Audit Trail (VVPAT). He also said that the Election Commission's sector officers intervened immediately and replaced the faulty machines. However, the deadline for voting wasn't extended in these booths as there's no such provision. He further said that of the 28 Assembly seats that went polling on Thursday, 20 are in Maoist-affected areas and thus polling ended there at 4 pm. In the remaining seats, voting continued till 6 pm. ANI reported that residents of Bhejipadar village in Kalahandi districts boycotted the first phase of polls alleging that they are still awaiting a proper road connectivity to their village despite complaining to the administration since 2017. According to PTI, in Kalimela block of Malkangiri district, a 45-year-old man, who was waiting to cast his vote outside a booth, collapsed and died, apparently due to the sweltering heat, a police officer said. The man has been identified as Bhima Kabasi of MPV-74 village in the district, he added. Of the 28 Assembly seats in the state, the ruling Biju Janata Dal (BJD) had won 21 in the 2014 Assembly polls whereas Congress had won in five seats and the Bharatiya Janata Party (BJP) had bagged two seats. Whereas, all the four Lok Sabha seats had gone to the BJD in the state. In three Lok Sabha seats—Berhampur, Nabarangpur and Koraput, the BJP had failed to win even a single Assembly seat. Having adopted a 'Look East' policy, the party is aiming to win more than 120 seats this time. From Prime Minister Narendra Modi to party president Amit Shah, the BJP has used its top star campaigners in all the four Lok Sabha seats. Besides, senior BJP leader and Union minister Dharmendra Pradhan too has held over a dozen meetings and road shows in these constituencies. After the 2014 polls, the BJP had scanty presence in southern Odisha but its fortunes might change this time owing to defection by senior BJD leaders. A host of long-time leaders of the ruling party — Nabarangpur MP Balabhadra Majhi, former MP Jayram Pangi, former chief minister Giridhar Gamang, MLA Basanti Mallick and ex-MLA K Narayan Rao — have switched allegiance. Political analyst Rabi Das said that the anti-incumbency factor might work against Naveen Patnaik-led BJD this time as the party has been in power since 2000. That said, he noted that Patnaik as the Chief Minister of Odisha is still a popular face, particularly among women due to his Mission Shakti welfare scheme. He said that this scheme can boost the party's vote share. He also pointed out that more than 50 percent of the voters in phase 1 are women. Das also said that a pro-Modi undercurrent is also being felt in the state, thanks to massive campaigning by the BJP machinery. He said all the 28 Assembly seats used to be Congress' stronghold once upon a time, adding that the party has fielded good candidates in some of the seats and released a promising manifesto. However, he opined that the Congress has failed to reach out to voters effectively. Thursday's polling saw many political heavyweights of all the three major parties — BJD, BJP, Congress — in the fray with three state ministers and multiple former ministers, MLAs, MPs and ex-MLAs vying to win again. In Bhawanipatna Assembly constituency, former minister Pradipta Nayak of the BJP is up against former MLA and BJD candidate Dushmanta Nayak and the Congress’ Sagar Das. Sagar is the son of senior Congress leader Bhakta Charan Das who is also the party candidate for Kalahandi Lok Sabha seat. The BJP has set high hopes on Pinky Pradhan who will take on sitting minister and BJD vice-president Surjya Narayan Patro for Digapahandi seat. There was a triangular fight for Jeypore Assembly segment under Koraput Lok Sabha seat. Former MLA and BJD candidate Rabi Narayan Nanda, Congress chief whip in Assembly Taraprasad Bahinipati and BJP’s Goutam Samantray have locked horns for the seat. Though Goutam is a new face in the area as compard to Nanda and Bahinipati, he commands a strong presence in the constituency. Krushna Chandra Sagaria, a former Congress MLA from Koraput, is contesting for the seat on a BSP ticket. Other prominent leaders in the fray included Bhujabal Majhi (Congress), Chandrasekhar Majhi (Congress), former minister Pradeep Panigrahi (BJD), minister Usha Devi (BJD), former chief minister Giridhar Gamang's son Sisir Gamang (BJP), former minister Lal Bihari Himirika (BJD), sitting MLA Dibya Sabkar Mishra (BJD) and former Rajya Sabha member Bhupinder Singh (BJD). Apart from these parties, Bahujan Samaj Party has fielded candidates for 23 MLA seats in the state while Samajwadi Party is contesting only from Junagarh seat in the state. Polling for the next three phases will be held on 18, 23 and 29 April.